The Waxahachie Independent School District believes that education is a lifelong pursuit. In order to carry out this belief, the district implemented the "Lighthouse for Learning" community education program. Lighthouse for Learning is a cooperative effort between Waxahachie ISD, the Texas A&M Extension Agency, master gardeners and other organizations and businesses to give adults the opportunity to become lifelong learners. 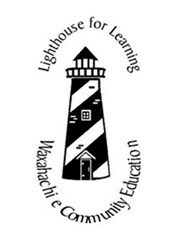 Lighthouse for Learning offers adult community/continuing education classes at Waxahachie High School on Monday and/or Thursday nights. Classes are offered that are technical in nature and others that are “for fun.” Many classes can enhance and provide skills for individuals. Classes are offered in both the fall and spring semesters. The fall semester begins in late September and the spring begins in mid-February. The current online Lighthouse for Learning catalog lists all available classes. Additionally, participants may register and pay online for added convenience. To view the current Lighthouse for Learning catalog or to register and pay online, visit the links on this page.